The original congregation of Bethany Baptist Church was assembled through Baptist Bible Fellowship missionary Rev. Joe Vella. The attendees and later first members initially met in Bro. Vella’s car-port and then later moved to an apartment building at 1710 Taft Avenue, Pasay City. The mission work was eventually organized into a formal Church on February 14, 1954, officiated by Rev. Loral Douglas Woosley. The following year, Rev. Woosley became the Pastor of Bethany. With the help and support of his wife Mava Lee and their children, Pastor Woosley and his family were instrumental in the steady growth of Bethany. In 1956 the Church acquired a property and built an edifice on the corner of Dian and Emilia Streets in Makati City, where it is located until today. With the leading of the Holy Spirit and with His intention to train men and women for the ministry, Rev. Woosley spearheaded the establishment of the Baptist Bible College (BBC) in 1964. Two years after, Bethany continued to expand her properties with the growing ministry. An annex building was constructed to house the growing Sunday School ministry. Rev. L. D. Woosley served as Pastor of Bethany until January 1972. That year, the church recognized God’s calling upon Rev. Silvino Reyes as Pastor when Rev. Woosley went on an extended leave of absence. Rev. Reyes was the first local Pastor of Bethany and he served God faithfully until his promotion to glory on May 1, 1976. The Church once again adjured Rev. Woosley to resume the pastorate. On June 1980, Bethany Baptist Church expanded its educational ministry with the establishment of another grace ministry – Bethany Baptist Academy (BBA), an elementary and secondary learning institution that trains students to become successful and faithful Christian leaders of tomorrow. Rev. Woosley faithfully served as Pastor of Bethany Baptist Church, the Chancellor of Baptist Bible College, and the Principal of Bethany Baptist Academy, however in 1986 Pastor Woosley suffered a stroke that rendered him paralyzed after. He was received by the Lord into glory on October 2, 1990 at the age 75. Rev. Jose Luis Reunilla assumed the pastorate of Bethany in 1987. 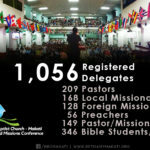 Under the leadership of Pastor Reunilla, Bethany continued its growth with its membership, in giving and its involvement with missions, supporting at that time 27 missions and eventually adding to its list 13 Foreign Missionaries. In 1998, Bethany Baptist Church Educational Ministries Foundation, Inc. (BBCEMFI) was organized. This organization fulfilled the great vision of Rev. 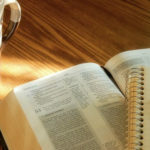 L. D. Woosley and became the umbrella organization of the Academy (BBA), the Bible School (BBC) and in 1999 the newly-launched tertiary educational ministry – the L. D. Woosley Bethany Colleges (LDWBC). By June 2000, Bethany Baptist Church commissioned Rev. Jose Luis Reunilla to be the Church’s Missionary-at-large to the United States, and became Pastor Emeritus of the Church. Consequently, Bethany Baptist Church recognized God’s calling upon Rev. Gerardo G. Nable to the pastorate on the recommendation of Pastor Reunilla. Under Pastor Nable’s leadership, God has continuously blessed Bethany and expanded her ministries and influence in local and foreign missions, evangelism, education and giving. Bethany currently supports more than 100 local mission works and more than 60 foreign missionaries. All a testament of God’s grace and faithfulness to Bethany Baptist Church.